Writers need to be story detectives, always on the alert for story ideas. People often ask adult writers how they get started, and many explain that their ideas come from all over. The important thing is to listen and observe, staying on the lookout for snippets of conversation or events to use in your own stories. Are you imagining yourself in disguise, sneaking up on people to overhear their conversations? That might be dangerous! It's more a case of watching out for something at school or home, in the book you're reading or on a TV show, and combining that with ideas of your own to create a whole new story. L. M. Montgomery started the Anne books after she read about a couple in the newspaper who wanted an orphan boy but got a girl instead. Australian author, Karen Collum, wrote Samuel's Kisses because her own little boy blew kisses to everyone. In one of my children's books, I have some sheep jump on a trampoline to see over the fence, whereas in real life, I saw children do it. Neil Gaiman once told people that he got ideas "From a little ideas shop in Bognor Regis" but then he revealed he gets ideas from asking himself questions like "what if?" and "if only..." Once you find your idea, that's just the start - you need to think hard and write hard to develop it into a story. Perhaps yesterday you overheard something in a movie that sparked a wonderful idea, but today you can't remember it. Why not get a special writer's notebook to keep your ideas in? Some writers swear by plain lined pads; others have a notebook and pencil small enough to slip into a pocket or bag. Or you can go hi-tech and speak your ideas into a digital recorder. You never know when those words will be just what you need to make your story entertaining. Most writers write every single day. You might choose a different book for this, maybe a diary or a writer's journal. You could choose one with a tiny lock, or decorate the cover to make it yours. This journal is your special place, the one where you can unleash your inner writer. Here you'll record what you saw, heard, experienced, and how you felt about it all. You're not writing for an audience. There's nobody with a red pen waiting to tell you that you can't spell "fiery". Instead, your journal is just for you, your space to create with words. Having a writer's notebook and journal won't turn you into a writer by magic. But using the tools and copying the practices of other writers is a great way to get started. Once daily writing and being a story detective become habits for you, you'll see yourself making steady progress on your journey to being a writer. Update from Kate Forsyth, Australian author: "I'm a big believer in having a notebook to hand - you never know when inspiration will strike!" Such a lovely post, as always. Your students (and their families of course) were so lucky to have had you! @Green Mama Thank you! 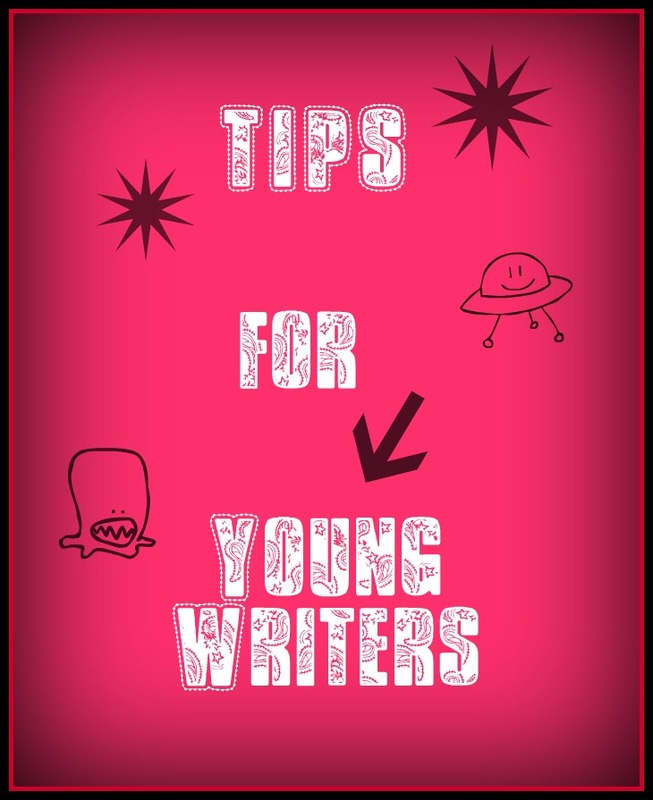 I hope you'll share those tips with a certain young writer who lives in your house! Thank you for this great blog. I've just taken on a Young Writers' Club in North Vancouver, Canada and you have inspired me. PS Love the name Book Chook! I lived in Australia for 20 years. Who knows? I may be back some day. @Maggie I think your Young Writers Club sounds great!